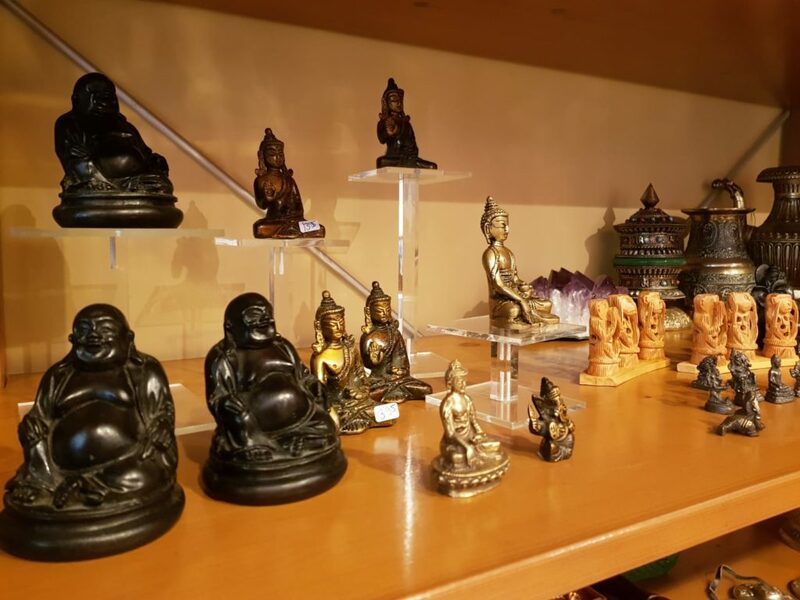 The articles such as buddhas, singing bowls, malas and incense in the Tibet shop are related to Buddhism and are authentic and of good quality. The bell symbolizes the female, the wisdom and the emptiness and during ritual ceremonies is held in the left hand. 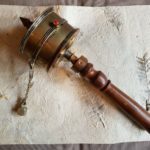 The bell is inseparably connected to the dorje (thunderbolt), it symbolizes the male, indestructible, impenetrable and is held in the right hand. Vishwa Vajra is a symbol of Amoghassiddhi, Dhyani Buddha of the North. 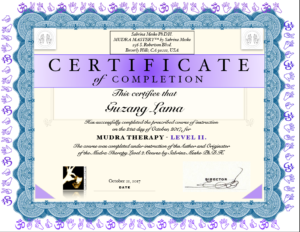 In the scriptures it symbolizes emptiness (Sunya) that cannot be destroyed but can destroy all bad characteristics, such as, jealousy and ignorance. At the shop you can buy bells and dorjes but also symbolic pendants. 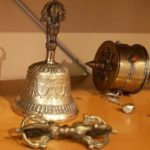 The origin of the Tibetan singing bowl is a mystery. There is not much known about it. The oldest bowl dates back to 2400 v. Christ. This reflects that bowls were an important part in rituals and ceremonies of the animistic Bon religion then in Tibet. Buddhism has incorporated some of the Bon rituals and the use of the singing bowl by the lamas is one of them. 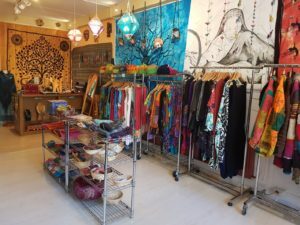 De Tibet Shop in Delft heeft een mooie collectie Tibetaanse klankschalen de koop. Tri Gug – knife symbolizes the cutting of attachment, material affairs and too much ego. The Tibetan ritual dagger is used to symbolize the defeat of negative forces. The three blades symbolize the cutting of the three sins: ignorance, desire and hate. Tibetans value their gau. They keep sacred objects in them and also sometimes amulets. The sacred objects include medicinal herbs, a portrait of a holy deity, a mantra or a piece of cloth that has been blessed by a Lama. Some boxes are more authentic and others more modern in form. 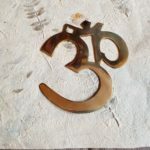 Mala is a traditional tool used to count the number of times a mantra is recited while meditating, counting prostration s or the repetitions of a Buddha’s name. 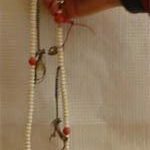 A mala consists of 108 beads and three extra beads known as the counter beads placed at intervals of 27 beads. These are aids to the counting process. So in total the mala has 111 beads. The shorts mala’s (18, 21 of 27 beads) are always worn around the wrist. The Tibet Shop sells mala’s made from sandalwood and bone. Mala’s also come in Schell, coral and semi-precious stones. 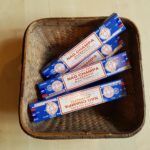 Tibet shop sells Nagchampa incense from India and Tibetan Incense. 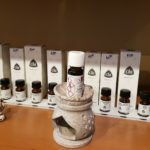 The Tibetan incense is made from pure herbs, spices, flowers and minerals. You can also buy authentic Tibetan handmade incense burners. The prayer flag is a popular item at the Tibet shop and is always available. Buddhas are teachers who bring wisdom and enlightenment. Gautama Buddha (623 B.C.) was an Indian prince and left his worldly pleasure to seek the truth. He got enlightened and is the founder of Buddhism. 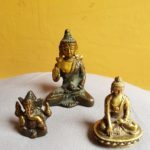 In the Tibet shop we have goods from India, Nepal, Thailand and Indonesia. 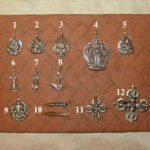 We sell a variety of goods including religious objects and also clothes and jewelry and religious pendants. People experience a calm feeling when hearing the singing bowl. This is why it is a wonderful asset during meditation. The singing bowl has its own vibration. Authentic singing bowls are made of seven metals. Each of these 7 metals represent a planet in Tibetan astrology: gold-Sun, silver-Moon, copper-Venus, tin-Jupiter, kwik-Mercury, iron-Mars, led-Saturn.